Toshiba exec explains the Windows 8 teething problems, looks forward to the new range of devices! As it stands there aren't too many people out there who love Windows 8. We wouldn't say we love it, but once you're over the initial learning curve then things aren't too dissimilar to Windows 7 and when that Start button is back, assuming it is, then Windows 8 will be a well rounded and logical operating system again. That, however, doesn't detract from the fact that it wasn't well received from people and that sales have been somewhat limited. Indeed, Acer have been very vocal about their criticism of the Windows 8 and RT Operating Systems from Microsoft, but today it's time for Toshiba to step forward and offer their opinions. Whittard also mentioned how customers weren't expecting to have to shell out for apps on Windows RT because they were expecting that platform to support the same apps as full Windows 8. On top of that cost Whittard explains that people were used to Windows 7 computers having prices between $399 and $599, but when Windows 8 landed devices were going on sale at $699 for entry level hardware and that put consumers off, especially as Windows 7 laptop priced plunged as companies looked to clear their Windows 7-powered inventory. 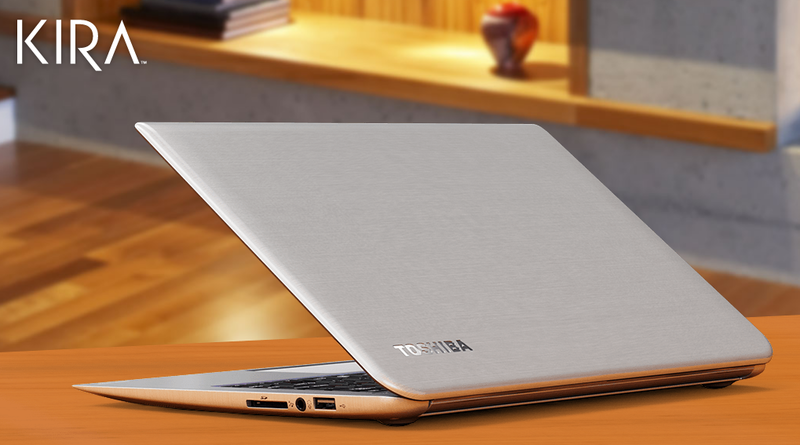 Despite these criticisms, Whittard believes have been mostly eliminated now and Toshiba will have a new range of Windows 8 devices this year with both touch, like the Kirabook pictured above, and non-touch displays!